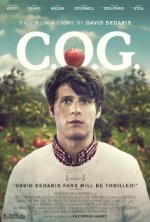 A cocky young man travels to Oregon to work on an apple farm. Out of his element, he finds his lifestyle and notions being picked apart by everyone who crosses his path. C.O.G. release date was Friday, September 20, 2013.